An appetite for hyper-local journalism hasn’t diminished, despite digital media’s disruptive impact. The neighborhood that goes by the moniker ‘West End’ in Louisville, KY isn’t some Sunday brunch hotspot, known for its restaurants or budding social scene. Instead, it has a reputation for plight, a sky-high crime rate, low incomes and a lack of investment from the city. 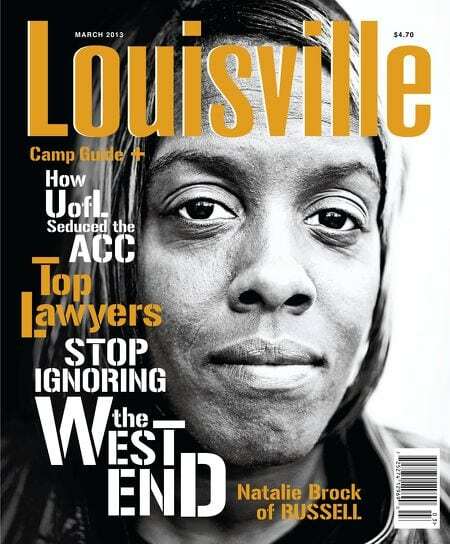 That’s why Louisville Magazine wanted to shine light on this overlooked neighborhood in March 2013, which included the splashy cover title, “Stop Ignoring the West End,” and a 36-page spread. Through a series of articles, interviews and striking photography, the coverage highlighted the struggle that this oversight created while detailing those people surviving within it. Like many cities across the country, over the past decade Louisville has seen its primary paper, the Louisville Courier-Journal, cut back staff, reducing the amount of space it can focus on deep, underlying issues that don’t account for “breaking news” while adjusting to the world of online production. It’s something practically synonymous with newspapers, which as a group have tried to adjust to circulation numbers that have fallen below 1940’s rate of readership, according to Pew Research. Gannett, the owner of the Courier-Journal and 108 other local newspapers and websites, along with USA Today, cut 2% of its workforce in 2016 and about 1% last year. These small daggers reduce an already slimmed newspaper division, hurting local coverage. It’s not as if these newspapers have given up, but it leaves a gap, one that city and regional magazines—fighting their own efforts to stay relevant— have tried to fill as much as they can. 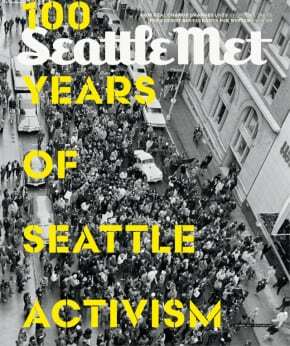 The Seattle Met is known as a hub for food, offering advice on the best places to go in the Emerald City. But last year the magazine hired a full-time, daily reporter, Hayat Norimine, to cover City Hall. It’s a big hire for an editorial staff of just seven people (10 if you include the art department). Norimine updates a politics blog daily, while also uncovering larger stories for the magazine. It came about because of a rise in interest over political stories surrounding the 2016 election, which bled into local politics. With the Seattle Post-Intelligencer no longer publishing a daily paper (it ceased in 2009), the Seattle Times became the only paper of record for daily coverage. Met’s editor-in-chief James Gardner saw this as an opportunity. A pickup from Longreads or Longform can lead to the hits he needs to help pay for the City Hall coverage. That, and Norimine pulls triple duty by also providing content for the front-of-book section and running the intern program. When talking to these regional magazines, a consistent reminder comes up. 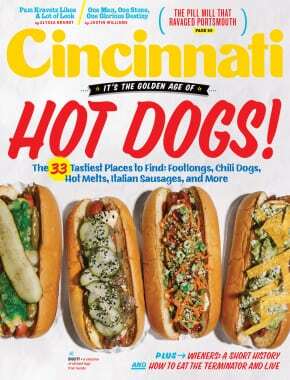 “We’ve always focused on very local issues,” says John Fox, editor-in-chief of Cincinnati Magazine. But what differentiates Cincinnati from the other Cincy publications is that the magazine continues to pay the bills, so the print product continues to receive “the vast majority of resources,” he added. This allows coverage that isn’t focused on breaking news or quick hits on the web. Instead, it provides a deep, drawn out analysis of the stories behind the news. That’s the type of coverage that newspapers have smaller budgets and declining resources for. Last summer, when Hurricane Harvey flooded Houston, one of Fox’s writers found a local Cincinnati group that was sending volunteers and supplies. This group happened to be one of the top charities that cities turn to when disaster strikes. The magazine decided to run a feature on the group. But then Hurricane Irma hit. And then Hurricane Maria. Fox delayed the publishing of the story, sending the writer to the locations to see the efforts first hand. “Local readers knew the day-to-day coverage of the hurricanes [through newspapers and television], but our feature was sort of a ‘story behind the story,’” said Fox. There are limitations to what the local magazines can cover, since they don’t have the vast publication schedule or large staffs. With typically a dozen issues a year, the magazines must select stories that will have a deep impact, draw interest from the local readers, and hopefully have long-term value. It’s also trusting in their unique view of the community they serve. Take Louisville’s glance at the West End area. After the coverage hit in 2013, it led to a number of local initiatives from increased spending on economic and social programs, the development of a YMCA for the local youth, and a boost in new businesses. It prompted Crutcher to run similar packages about what has changed in the West End in 2015 and 2017, ensuring the pressure for reform remains.